Design teams are always trying to come up with something better—better shapes and designs, better performance, better materials, and most importantly, a better cost. If there's a way to give their product an edge over the competition, the design team will do everything they can to incorporate it into their process and product. Cost, of course, is a huge factor. After all, there is only so much you can do to reduce costs when you follow Lean practices and/or consistently use the same set of materials, designs and processes. Often it's just a one-percent gain here, a one-percent reduction there. For designers, creativity can help solve several challenges. 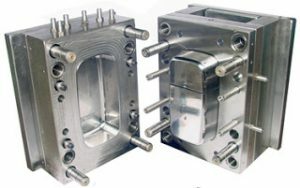 If a part is designed to be one component instead of several, for example, you can save significant time and costs during production and assembly. However, it's difficult to be creative when you are limited by material choices—especially metal. That's why many of today's manufacturers are exploring metal-to-plastic conversion options. If I told you switching from metal components to plastic could save you up to 50 percent in operational costs without compromising function or quality—and even improve design choices and options—would you be interested? Of course you'd be! You'd also be skeptical, perhaps thinking something along the lines of “You can’t replace metal with plastic. How about that snow shovel I bought last year? Plastic breaks.” Well, it’s time to change that mindset. Maximizing the benefits of engineered plastics in metal-to-plastic conversion is achieved in several ways. Multiple metal parts can be replaced by one injection-molded plastic part, eliminating the need for fasteners and assembly. Colors can also be added to the plastic melt, eliminating the secondary operations of painting. Also, when you compare costs, plastic has a nominal impact on part cost compared to sheet metal. If you haven’t worked with plastic, this all may sound unbelievable—but it’s true! Plastic parts can be just as tough as metal parts, and meet the same tight tolerances with fewer secondary operations. With appropriate design, plastic parts can perform just as well as their metal counterparts. In fact, plastics provide greater design flexibility because they can be engineered to have specific physical and chemical characteristics that are better than metal. Plus, there are plenty options to choose from—more than 25,000 engineered materials are available for manufacturing applications. High-performance blends and hybrids can also be custom-designed to meet very specific mechanical, thermal, chemical, electrical, and environmental performance requirements, usually at lower cost than metal parts.